Happy New Year. This is the first of this year's Q and A's. 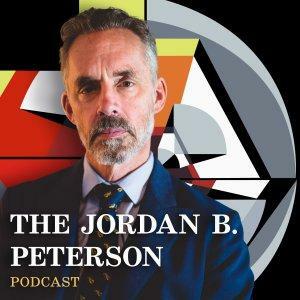 I am going to answer audience questions, as usual, as well as discussing my next book, my impending departure from Patreon, and my upcoming tour to Switzerland, California, Australia and New Zealand. 0:03:24 – Working on new book, tentatively titled: “Beyond Order: 12 More Rules for Life”. List of rules included (see below). Estimated publication in Jan 2020. 0:12:30 – (Q#1) Can you talk about your own experiences / methods for “shadow integration”? 0:25:28 – (Q#2) How can I help my parents to sort themselves out? How can I talk about the resentment of my childhood in a way that benefits them instead of giving them guilt? 0:39:47 – (Q#3) It took me 7 months, but I completed the Self Authoring Suite. I'm still not motivated to do anything and waste all of my time. What do I do? 0:47:31 – (Q#4) I’m consumed by envy. I can hardly stand to read, watch, or listen to anyone more successful than myself. How am I aiming wrong? 0:55:38 – (Q#5) How would you advise a person who has the courage to defy the crowd but doesn’t have the verbal skills to debate in real time? 1:01:01 – (Q#6) The Tao Te Ching speaks of acting naturally. How is one to change and better their condition without unnaturally manipulating their world? 1:10:34 – (Q#7) I agree we don’t live in a tyrannical patriarchy. Can you provide a better explanation for the iniquities women faced, especially the delay in voting rights? 1:17:45 – (Q#8) You have talked about earning your knowledge. How do you define this? When is it okay to debate ideas like yours if they are not your own? 1:24:59– (Q#10) How do you maintain a stable identity when you are plagued by bouts of depression and anxiety? 1:33:51– (Q#11) How are you always so consistently composed and confident? 1:40:22 – (Q#12) How do you manage to read so much? 1:45:35 – (Q#13) There are many drug-addicted and homeless people in my city, and it keeps getting worse. How do you help people who don’t want to be helped? 1:51:16 – (Q#15) What’s the best method to retain what you read and be able to use it in conversation? 1:53:54 – (Q#16) I just found out that’s I’m having a girl. How can I raise her to think for herself and not fall into the modes of thinking proposed by popular culture?